Excellent result for the Irish - this surely kills off Bulgaria's qualification hopes and all-but secure the Republic of second place in the group at the very least. It's all over and the Republic of Ireland have held on for a vital draw. McGeady drifts in from the right flank and blasts the ball inches past the post. Good effort by the substitute and almost a late winner. We're into four minutes of injury time. Best does well on the right flank but his low cross is comfortably held by Ivankov. Dunne coolly nods the ball back to Given. Not long to go for the Republic. Milanov's cross is well held by Given. The Republic are defending bravely, Bulgaria are going for it now, they know they must win this game. The injured O'Shea is replaced by Stephen Kelly. Folan charges into the box but just overruns the ball. Elsewhere in this group, it's Cyprus 2 Montenegro 2. Georgiev takes the free-kick but the ball comes off the head of Kilbane. Free-kick to Bulgaria on the very edge of the box for a harsh handball against Whelan, for which he is booked. Keane is replaced by Leon Best. Telkiyski's cross floats out of play. Hunt makes way for Aiden McGeady. Stoyanov gets forward from the back before lashing the ball over the bar from 30 yards out. But Bulgaria are dominating possession. As yet they have not created anything clear cut. As things stand, this would be an excellent result for the Republic. They would have taken a point before the game without a doubt. Free-kick to Bulgaria about 30 yards from goal for a foul by Duff on Berbatov. It's now Cyprus 2 Montenegro 1 in this group. St Ledger defends well against Makriev to deny the substitute the chance to get on the end of Telkiyski's cross. Makriev tangles with St Ledger inside the box but no penalty is given. Martin Petrov is replaced by Georgiev. Makriev takes the place of Bojinov. Berbatov ghosts in behind the visiting defence but instead of heading for goal from ten yards out, he tries to control it and the ball slips away from him. That should have been 2-1. Makriev is getting ready to come on for Bulgaria. Bulgaria scorer Telkiyski is booked for dissent. Martin Petrov's cross is turned behind for a corner by Dunne. Dunne's clearance comes off Stiliyan Petrov and out for a goal-kick to the Republic. Folan uses his strength to set up Hunt inside the box but the midfielder runs the ball out of play. Whelan goes from goal from 30 yards out but it's an easy take for Ivankov. A lively start to the second half by both team, it looks like we are in for more goals here. Martin Petrov looks to burst into the box from the left but Dunne makes an excellent intervention. The Republic of Ireland get the second half under way. The Republic started well and were well worth their lead but a defensive error let Bulgaria back into the match and they piled the pressure on towards the end of the half. It should be an interesting second 45. The half-time whistle goes and it's all-square in Sofia. Kishishev's first time shot from 25 yards out is well held by Given. Kilbane looks to make progress on the right but overruns the ball. Angelov's cross into the box is a dangerous one and Dunne just gets his foot in to deny Bojinov. Berbatov shows good strength in midfield but his through ball for Martin Petrov is overhit. Milanov is booked for catching Hunt late. Telkiyski beats the offside flag and his header at the back post comes off Whelan and behind for another corner. It's all Bulgaria. Bojinov's shot on the turn is headed wide by Dunne. The Republic are sitting really deep now with Bulgaria firing plenty of crosses into the box. It oculd be a long nine minutes until half time. Bulgaria are piling the pressure on now in the search for a second goal. Martin Petrov goes down on the edge of the box but no free-kick is given. Glenn Whelan's cross into the box is cleared by Stoyanov. The Irish have totally dominated the game and did not look under any pressure at all, but all the good work has been undone. The home crowd are right up for this now. GOAL - TELKIYSKI. Really poor defending as Kilbane lets a high ball float over his head and Telkiyski only has to slot past Given to make it 1-1. Keith Andrews looks for Duff with a through ball but there's not enough power on the pass. Hunt blasts a volley well over the bar from the edge of the box. As it stands, the Republic would go top of the group, ahead of world champions Italy! Martin Petrov almost makes it 1-1 just moments later but with Given out of his goal, he blasts over from a tight angle. GOAL - DUNNE. The Republic have a vital lead! Dunne is left completely unmarked by Berbatov and is left with a free header which he thumps into the back of the net. Tomasic does well to head clear Kevin Kilbane's cross into the box. Duff glides past Kishishev and the Bulgaria man is forced to trip the winger. Free-kick to the Republic. Duff wins another corner for the Republic of Ireland. Berbatov almost breaks the deadlock but his header from six yards out lands on the top of the net. He should have done better there, a let-off for the Republic. Folan is certainly putting himself about and causing some problems for the Bulgaria defence. Folan and Stiliyan Petrov require treatment after colliding in the air. Folan's headed flick on is too hard for Keane. Folan gets on the end of Duff's cross into the box but he is adjudged to have fouled his marker. Elsewhere in this group, Cyprus have taken a 1-0 lead against Montenegro. Radostin Kishishev's cross into the box is overhit. Strong start for the Republic, that's three half-decent chances they have had in the opening 11 minutes. Robbie Keane goes close to opening the scoring as he strikes Dunne's downward header in the box on the turn but lashes it over. He was only six yards out there and although it wasn't easy, he will have expected to do better. Martin Petrov is caught offside as he chases Berbatov's ball over the top. Stoyanov's ball forward is too long for Berbatov. Ivankov makes another decent save from Folan's shot from the edge of the box. First effort of the game comes from Stephen Hunt who gets on the end of Damien Duff's cross but his header from 12 yards out is held by Ivankov. Good possession by Bulgaria but the Republic are pressing the game well. Caleb Folan chases a through ball but Ivankov is quickly out of his goal to deny the striker. Dimitar Berbatov and Valeri Bojinov combine but the former's cross is held by Shay Given. Bulgaria get the game under way in Sofia. The hosts are the favourites for the game at 11/10 with Sky Bet, who make the Republic 12/5 and the draw 2/1. 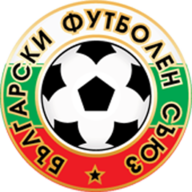 Here are the teams - Bulgaria: Ivankov, Milanov, Stoyanov, Tomasic, Kishishev, Angelov, Stiliyan Petrov, Telkiyski, Berbatov, Martin Petrov, Bojinov. Subs: Mihailov, Todorov, Dimitrov, Topuzakov, Domovchiyski, Makriev, Georgiev. Bulgaria boss Stanimir Stolinov sends his big guns into battle with the Republic of Ireland as he looked to rekindle hopes of World Cup qualification. English-based dangermen Dimitar Berbatov, Martin Petrov and Valeri Bojinov, who all missed the 1-1 draw in Dublin at the end of March through injury, are included, along with former Charlton defender Radostin Kishishev. Republic manager Giovanni Trapattoni makes three changes to the side which drew 1-1 in Italy, two of them enforced, as the injured Paul McShane and Kevin Doyle make way, with Aiden McGeady having to make do with a seat on the bench. 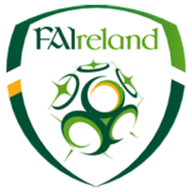 Preston defender Sean St Ledger and Hull striker Caleb Folan are handed first competitive starts for their country, while Damien Duff returns from injury in place of Andy Keogh. Welcome to our live coverage of the crunch World Cup qualifier between Bulgaria and the Republic of Ireland. Team lines to follow shortly, if you have any views on the game, mail me at gareth.friel@bskyb.com.